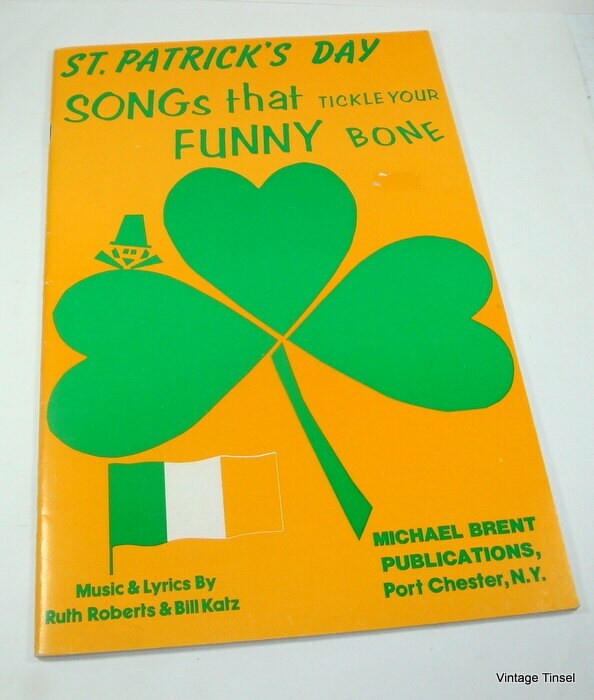 Vintage book of St. Patrick's Day Songs That Tickle Your Funny Bone. Music and lytics by Ruth Roberts and Bill Katz. Michael Brent Publications, dated 1980. List of songs shown in the table of contents, photo 2. Black and white graphics on some pages. All 32 pages clean and intact without offensive odors. Minor wear, otherwise in good usable vintage condition. Measures 10 1/2" x 7". You can find Christmas Songs That Tickle Your Funny Bone here. More song books? I'll gladly combine your shipping and I do ship worldwide.